Why Should A Room Have A Focal Point? Have you ever walked into a room and were instantly drawn to a piece of art or an amazing view out of a large feature window? This is what interior designers refer to as the focal point of a room. A focal point is something that our eyes are instantly attracted to, setting the tone and mood of a room instantly. A focal point is also the foundation for setting up the rest of your room, allowing you to use it as a reference for placing your furniture and decoration. Putting the spotlight on the right feature is something that require’s careful planning and execution as you don’t want two or more focal points competing with one another. So what’s the best way to create a focal point? Here are some suggestions to help you create a focal point that won’t dominate or compete in a space, but complement the interior decor. Artwork is a fantastic way to bring character and your own personality into a room. Looking at the tone and size of the art piece, you should make sure that it complements the interior decor. Having tones that contrast with the wall that it is hung on is the best way to create that ideal focal point in a room. It is vital that the art piece is scaled appropriately as if it is too small it won’t grab attention and if it is too large it will contend with your other decorations. 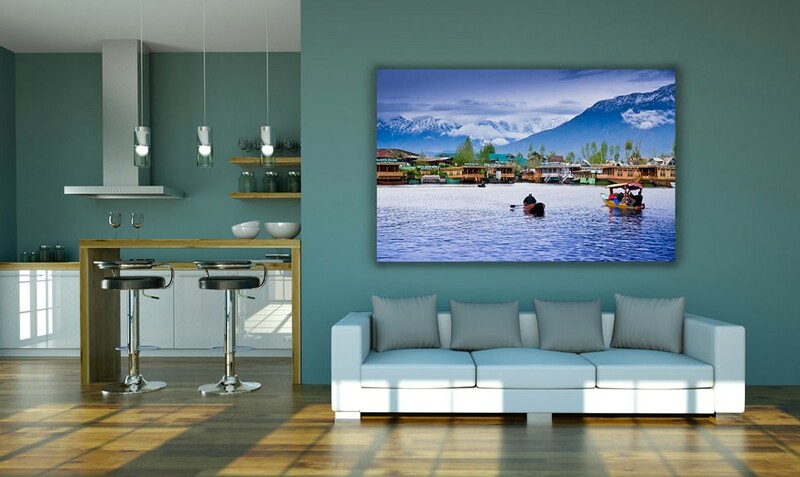 Bring your dream view to your living room using large dramatic artwork. 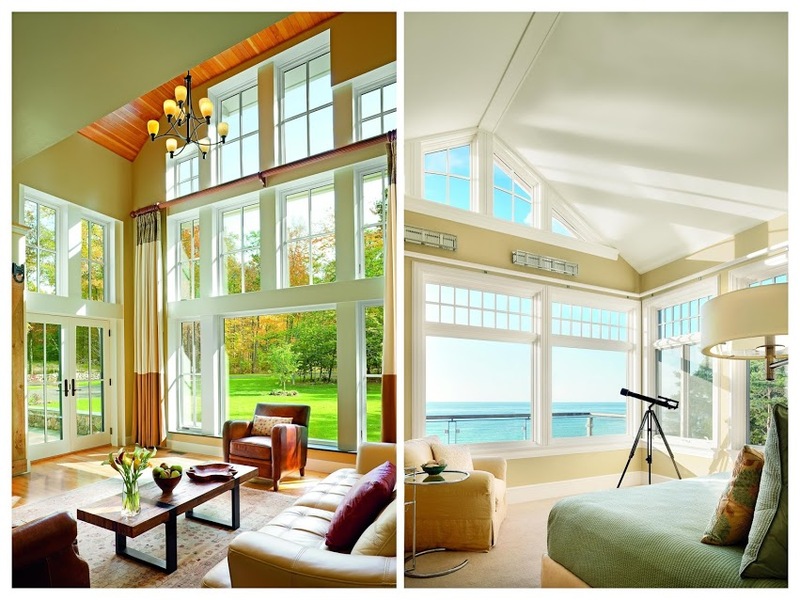 When you’re lucky enough to have a luscious view of a shimmering lake or a deep vibrant forest, using an oversized feature window is the perfect way to take advantage of it. Combining a beautiful view with simple and minimalist furniture is a breathtaking way to create a dream worthy focal point for a room that will leave your guests in awe. Frame Your View Using Oversized Feature Windows. If your interior decor consists of a monochromatic colour scheme, adding texture is a great way to create a focal point that will enhance the warmth of the room. Monochromatic colours go well together, creating a soothing effect and are very easy on the eyes. For example, combining shiny, neutral decorations that create a cool vibe with soft, raised textured wallpaper is a brilliant way to create a beautiful focal point in a room. 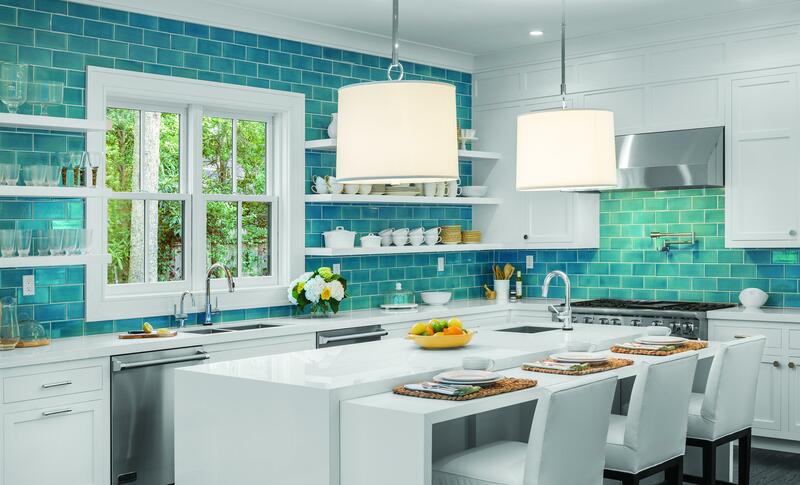 This modern Kitchen’s blue wallpaper’s raised texture creates a visual interest that instantly draws attention. Using your wall as a main focal point is the quickest and most budget-friendly way to take your interior designing to the next level. Contrasting colours that stand out will set the mood and tone of any space. Applying bright, bold colours is a great way to make an audacious statement or create a warm, inviting atmosphere using deep autumn colours. 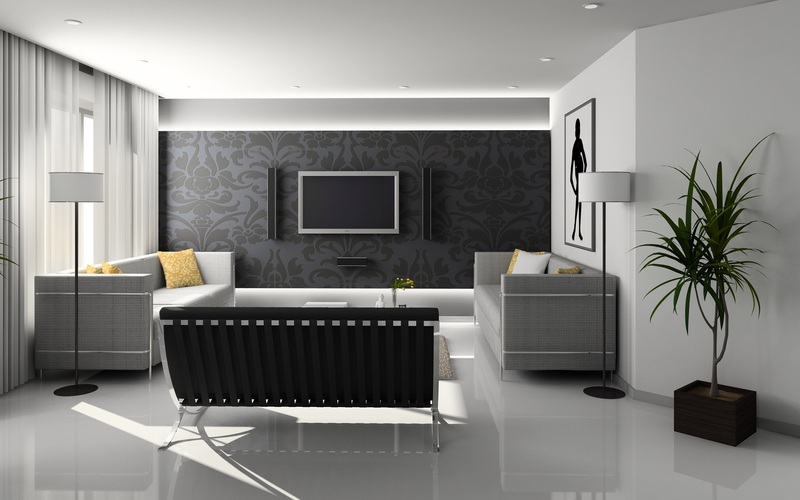 More and more homeowners are experimenting with black as a feature colour to create a contemporary tone and feel in a room. Using a primary piece of architecture or decoration is a great reference point for setting up the rest of the furniture in a room. For example, a fireplace would be a common central element of a living a room with the furniture arranged around it. Proportions again are very important to get this right, your feature piece needs to have just the right size in order to balance with the other items in the room. Put your focal decoration item front and centre of your room. Creating a focal point in a room is a great way to re-energise a room and take the focus away from the less attractive features in a room. It is vital to remember that you want the item to be focused front and centre, with complimentary items to the side so the eye is led to the focal point straight away. Subscribe to our newsletter to keep up to date with our latest blogs and case studies to get inspired for your next home improvement project.